Education plays a very vital role in the development of child. It equips children with all the tools that are necessary for him/her in order to become successful in personal and professional life. We have to make sure that every child gets at least the basic early education as these children are the one, who are going to shape the future of this country. Although the education system of Pakistan is considered quite weak by many people but still its far better than many other countries in the world and government is taking serious steps for its continuous improvement. With the birth of a child, all parents start planning about the future of him and one of the most important part of that planning is related to their child’s education which starts from a school. In this case, parents have tons of choices as there are a large number of schools working in every city of Pakistan. These include both public and private institutes but the preference of highest number of parents is towards the private ones due to their better environment, modern teaching techniques, quality of education and good reputation. 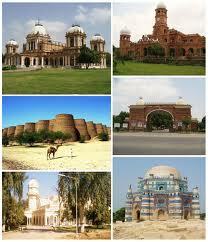 So here we are going to take a look at some of the very best schools in Multan, Bahawalpur and Kasur. Although you will be able to find hundreds of other schools in these cities but like all parents, if you also want to make sure that your child gets the best possible education than these are the top schools that you must consider before making any final decision. For further details about these schools, you can search on internet, contact them through email or telephone or can even visit the campus yourself to make sure that everything is exactly the same as you want for your child.